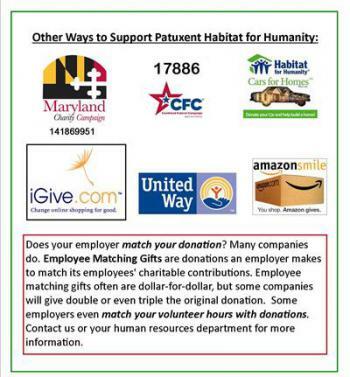 Patuxent Habitat for Humanity is an affiliate of Habitat for Humanity International and works to create decent, affordable housing in partnership with those in need in St. Mary’s and Calvert counties. We are building strength, stability and independence by building on a foundation that strengthens our community. Our Veterans Critical Home Repair Program is designed to repair homes for military veterans and their families. The program will assist with repairs identified in Habitat’s Critical Home Repair guidelines that may vary from roof repair and structural wall repairs to installing wheel chair ramps and remodeling bathrooms to be easily used by veterans with disabilities. 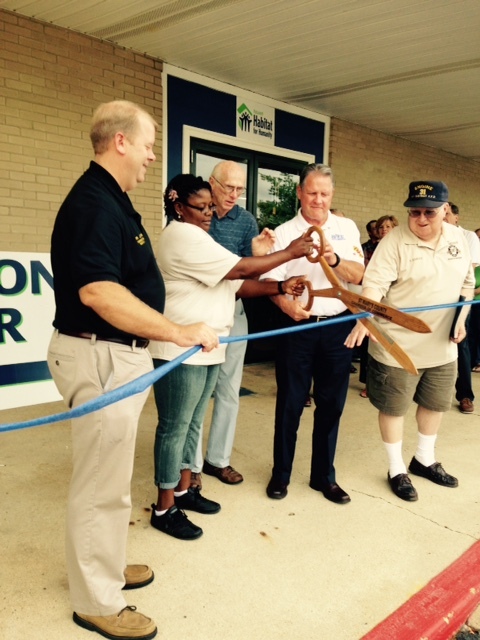 Patuxent Habitat for Humanity has an open-door policy: All who believe that everyone needs a decent, affordable place to live are welcome to help with the work, regardless of race, religion, age, gender, political views or any of the other distinctions that too often divide people. In short, Habitat welcomes volunteers and supporters from all backgrounds and also serves people in need of decent housing regardless of race or religion. As a matter of policy, Habitat for Humanity International and its affiliated organizations do not proselytize. This means that Habitat will not offer assistance on the expressed or implied condition that people must either adhere to or convert to a particular faith, or listen and respond to messaging designed to induce conversion to a particular faith. Driven by the vision that everyone needs a decent place to live, Habitat for Humanity has grown from a grassroots effort that began on a community farm in southern Georgia in 1976 to a global nonprofit housing organization in nearly 1,400 communities across the U.S. and in over 70 countries. People partner with Habitat for Humanity to build or improve a place they can call home. Habitat homeowners help build their own homes alongside volunteers and pay an affordable mortgage. Through financial support, volunteering, or adding a voice to support affordable housing, everyone can help families achieve the strength, stability and self-reliance they need to build better lives for themselves. Through shelter, we empower. 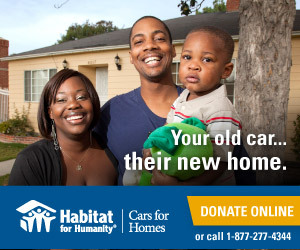 To learn more, visit habitat.org.